Welcome to the Golf Lodge Bed & Breakfast, a Victorian Townhouse offering luxury accommodation where you will be assured of warm Scottish hospitality from your hosts Tom & Emma Hill. You will find us situated in the picturesque seaside town of North Berwick on Edinburgh’s golfing coastline. 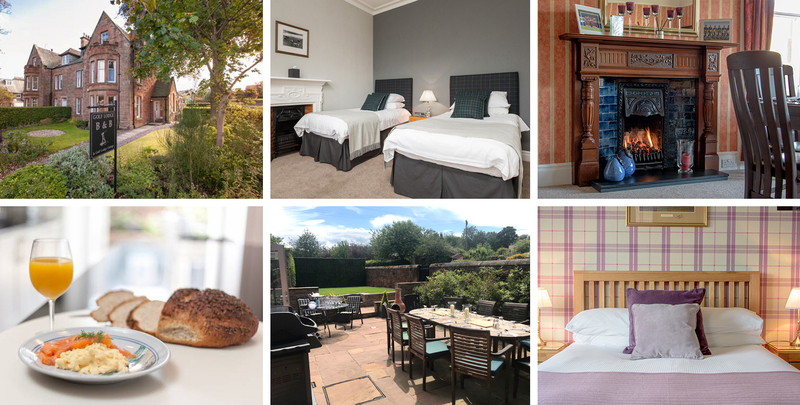 Our location on the Town’s Dirleton Avenue is only a few minutes walk from the Beach and Town Centre making us the ideal base when exploring the town’s many attractions which include the Scottish Seabird Centre situated at North Berwick Harbour. Whilst Edinburgh, Scotland’s historic capital is only 20 miles away, easily accessible by road or rail. For the Golfer wishing to play some of Scotland’s finest Links courses, North Berwick West Links is a 5 minute walk away, and Muirfield, host to the 2013 British Open Championship is a 5 minute drive away. Indeed, the choice is endless with some further 20 courses situated within a 20 minute drive away to include Gullane Golf Club and Renaissance, host to the 2019 Scottish Open. Please contact us directly to arrange your tailor made golf package. "The Perfect home base for Golf In East Lothian"